Jason Farrell aka jasonlivessince1980 has been at the forefront of creating the most screen accurate replica hockey masks that have ever been produced. 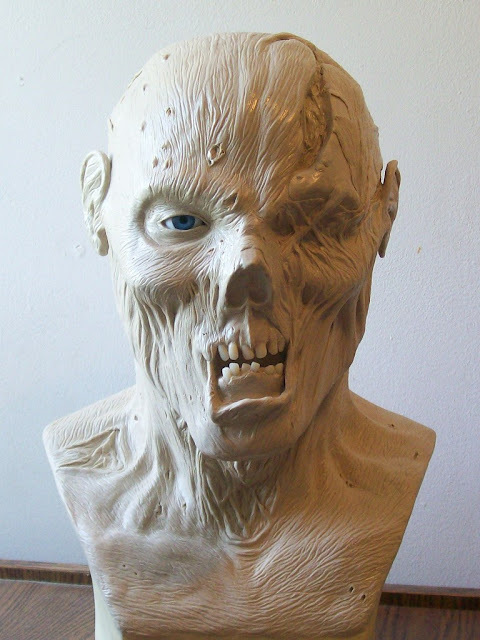 Jason, however, turned his attention to creating something different from the hockey mask creations business and has now spent the last few months sculpting his ultimate Jason Voorhees bust from Jason Lives: Friday the 13th Part 6. The bust, photographed below, has gone through numerous re sculpts and tweaks to create the perfect 1:1 replica Jason Lives bust. Obviously, it has not been painted yet, but knowing Jason's skills, this new piece will be a thing of beauty. 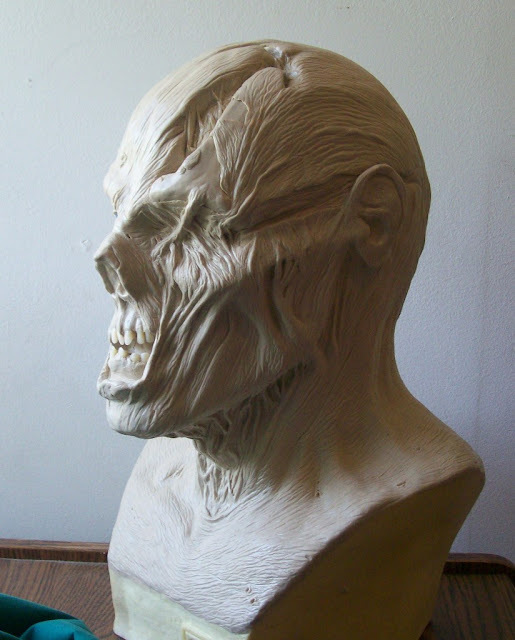 No word on when or if masks or other busts will be created or sold from the sculpt, but we will keep an eye on this project as it continues to develop.